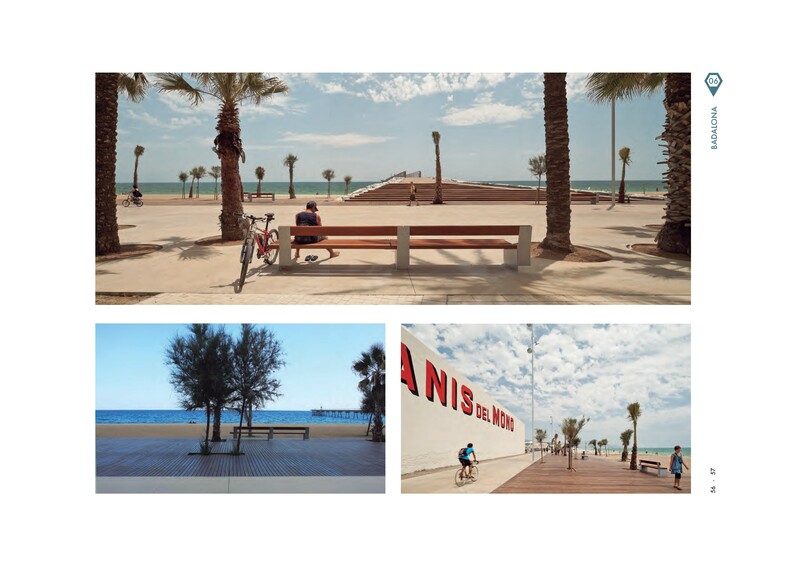 Badalona’s promenade, whose width varies depending on the urban morphology, joins the historical centre with Nova Marina. To the north, a large public space in front of the station makes the transition between La Rambla and the new promenade, and at southern end, the promenade transforms into a large square to access future port facilities. The design responds to problems caused by existing structures by means of two parallel paths (one made of concrete and the other of wood) along a longitudinal axis. This double solution also resolves the transition between city and beach. 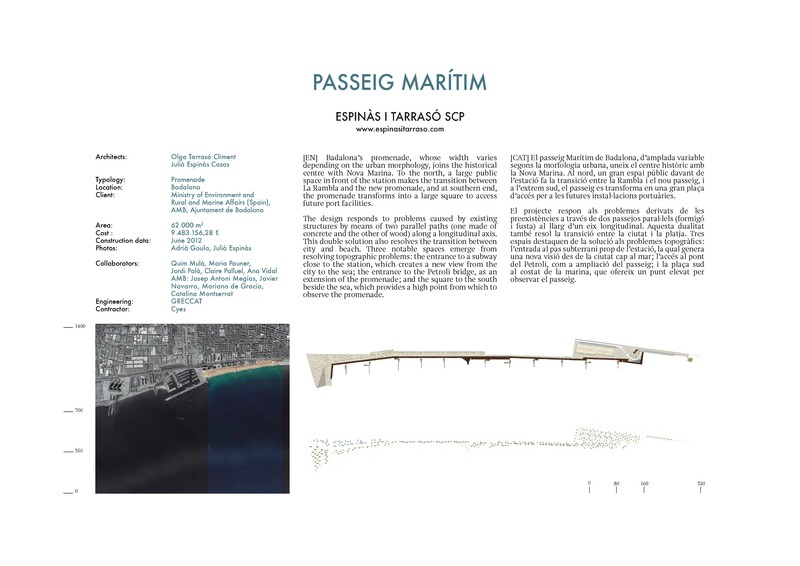 Three notable spaces emerge from resolving topographic problems: the entrance to a subway close to the station, which creates a new view from the city to the sea; the entrance to the Petroli bridge, as an extension of the promenade; and the square to the south beside the sea, which provides a high point from which to observe the promenade.